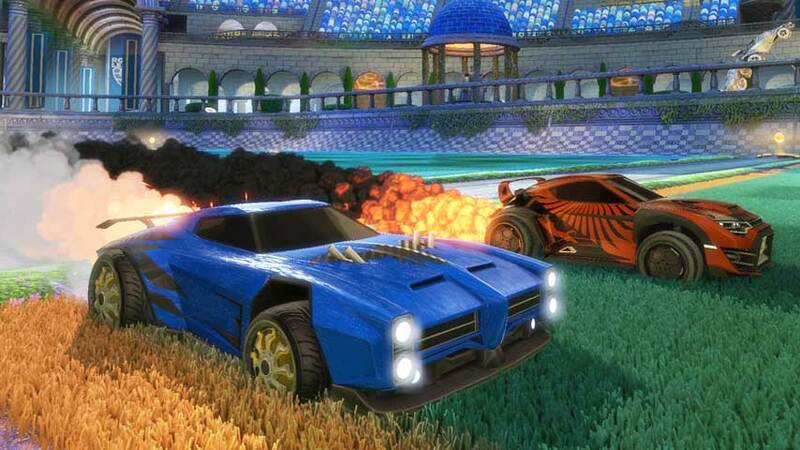 Rocket League players can expand their garage and tactical options with an upcoming DLC release. Rocket League: Supersonic Fury is coming to PC and PS4 in August with a bunch of new content. Top of the list are two new battle-cars. Dominus is an American muscle car, while Takumi is a Japanese street racer. Each comes with six decals. The pack also adds the Nitrous and Burnout rocket boosts; the Cristiano and Spinner wheel sets; five new paint jobs; and some new trophies. The whole pack runs a modest $4, which is especially reasonable given that developer Psyonix will also be releasing free content updates. The first of these will add the Utopisa Coliseum map, 70 country flags and a spectator mode, among other additions.